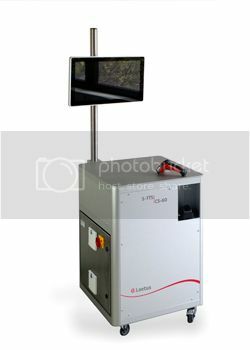 Within the Track and Trace portfolio Laetus has introduced the extremely mobile and flexible stand alone CS-60 COMMANDER Station. Featuring a highly ergonomic design to allow for easy operating of printers, handscanners and other options, it can be used as a manual aggregation module and as a mobile mark & verify solution. It is also possible to enable completely self-sustaining operation through a battery package, even in combination with WLAN. For further information on this product or to speak about it in more detail please call our office on +61 2 9078 8360 or contact us via email at sales@conceoptautomation.com.au .